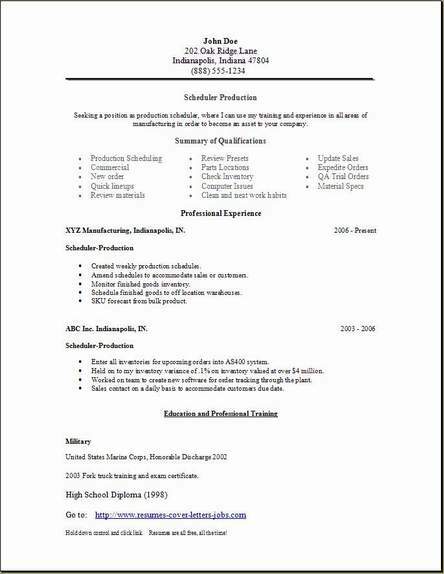 Go ahead and let your friends know where you found your free formatted resume. You want to download--click save--then save in Desktop--- use the same file name. You can edit it later, and it will be very easy to locate on your desktop for reference later. 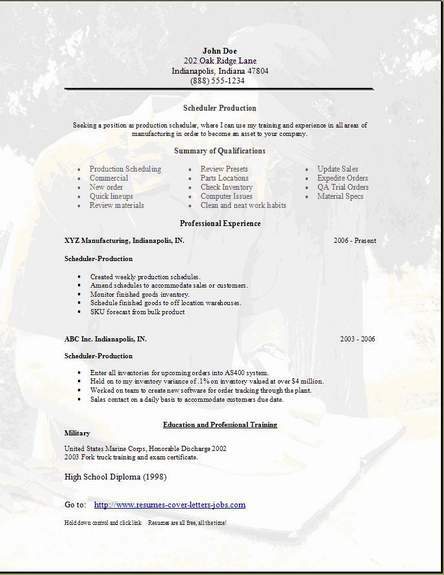 These are the 3 scheduler resume most used formats when creating your resume. 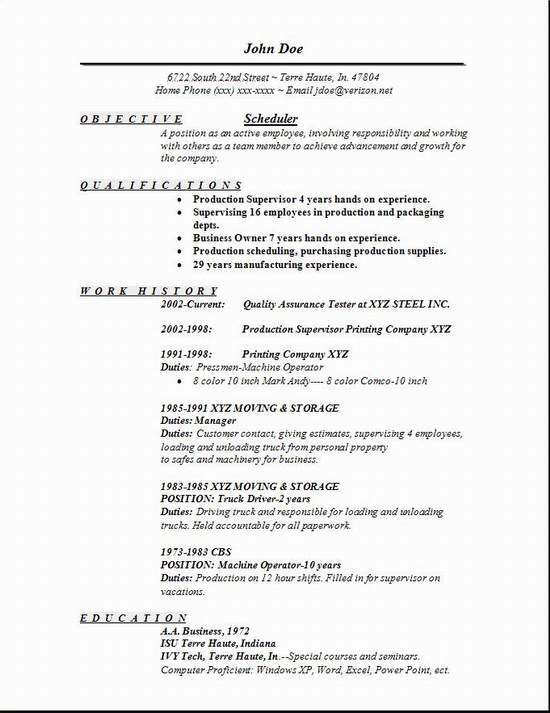 The purpose of the scheduler position is to provide lineups or schedules to each manufacturing operation department on an as needed basis while providing both efficiency to the line and supplying on-time delivery to the customers. Review potential schedules and access the effect on the current lineup. Compare and review presets of the manufacturing process. Notify appropriate personnel to discuss any unique aspects of the schedules. Check schedules for possible miss locations of parts going to production. Work with IT to resolve computer issues as they pertain to schedule problems. Physically check inventory that is scheduled to production, check quality paperwork and verify locations when necessary. Monitor daily production of customer orders. Contact the customer service representative concerning material downgraded off of an order. Work closely with the sales department on expedited orders. Assist the quality assurance department with trial or special orders. Provide production personnel with order information and specifications when necessary. Communicate with customer service representatives concerning estimated time of arrival (ETA). Monitor quality comments before and after each operation. Work with quality assurance on the disposition of anything on “hold” from production. Create new or modify existing part codes for the customer service representatives. Provide inner company reports and information upon request. Create orders for inner company trials and tests. Provide loading information to management for the proper scheduling of production personnel. Assist with the quarterly inventory.